"I'm not a man who constantly thinks up jokes. But I think it's very important to be able to see the funny side of life and its joyful dimension and not to take everything too tragically. I'd also say it's necessary for my ministry. A writer once said that angels can fly because they don't take themselves too seriously. 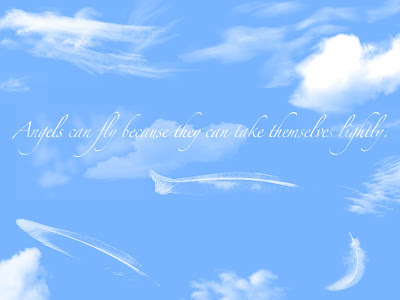 Maybe we could also fly a bit if we didn't think we were so important."